Native Australians used bushtucker to cook food so that it is safe to eat. Here is some information you might not know about it. Examples of Australian native plant foods include the fruits: quandong, ketjera, muntries, riberry, Davidson’s plum and finger lime. Native spices include lemon myrtle, mountain pepper, aniseed myrtle. A popular leafy vegetable is warrigal greens. Nuts include Bunya nut and the macadamia nut. Knowledge of Aboriginal uses of fungi is emagre, but beefsteak fungus and nature bread (also a fungus) were constantly eaten. Australian Aborigines have eaten native animal and plant foods for about 60,000 years. Various traditional methods of processing and cooking are used (e.g. such as Toxic Bay chestnuts are processed to remove the toxins and render them safe to eat.) 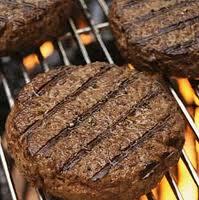 Many foods are also baked in the hot campfire coals or baked for several hours in ground ovens. Mrs Corr was extra nice by giving everyone a jelly sweet if they ate all their dinner! I had a long jelly snake. There were so many people that wanted this delicious dinner that we got an extra 10 minutes of lunch! Mrs Corr and her team prepared a special lunch. 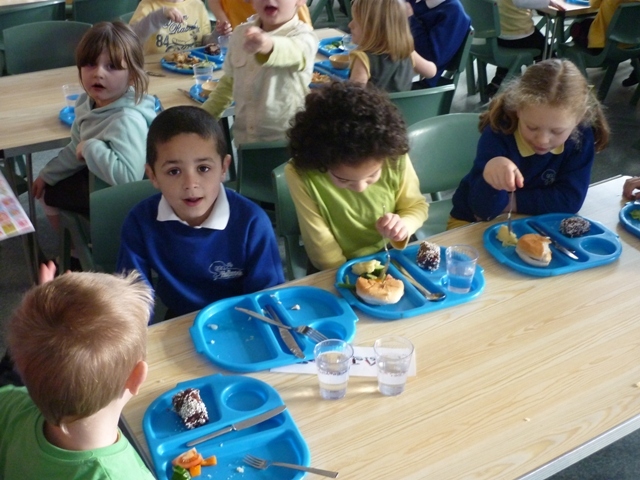 140 children booked a lunch today and lunchtime had to be extended by ten minutes to fit everybody in. The whole school has taken part in the Holbrook cookathon; we have made burgers because Australia is famous for barbeque food. After all the cooking we tasted each group’s burgers in our class and then voted for whose will go to the finals. The voted burger from each class went to Mrs Corr. Mrs Corr tasted each burger and told us what class was the nicest! There could only be one winner. She based her decision on how the burger tasted, how it was presented and how well it had been cooked. The winning class was Ravel! Ravel invented ‘ The Red Burger’. I think it was a good idea to do burgers in Holbrook cookathon because Australia is famous for barbeque food! Everyone did well because the whole school took part. It would be boring if only one or two classes did it! Congratulations to the pupils of Ravel Class. This is not the Red Burger!